Look out for the films of what has happened each day on the on the blog. 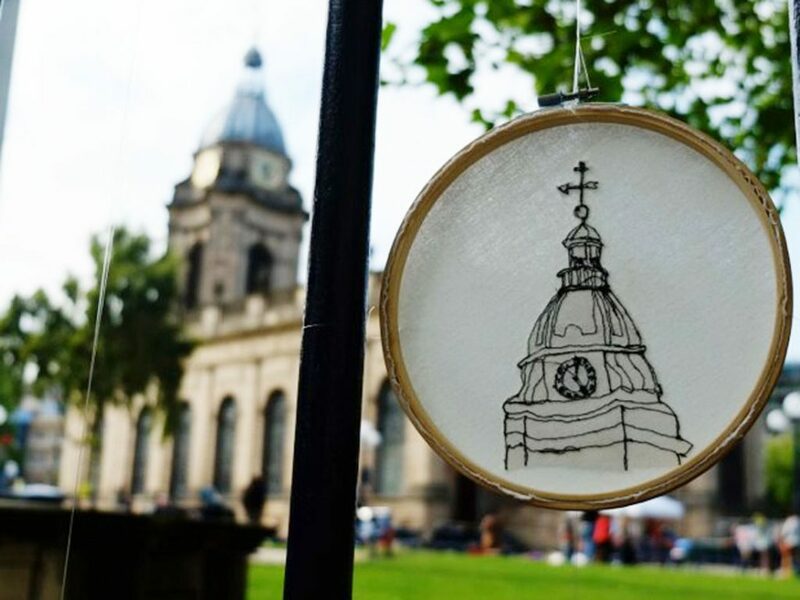 In:Site is an annual festival in the centre of Birmingham which provides an opportunity for selected new arts graduates to create bespoke, site-specific artworks. 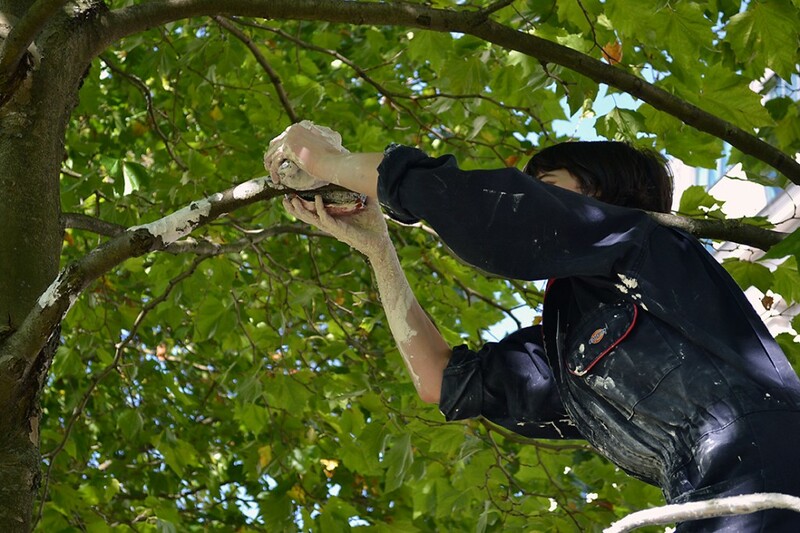 Over the course of a week each maker is allocated time to make and install their temporary artwork on a specific day, turning the making process into a performance. 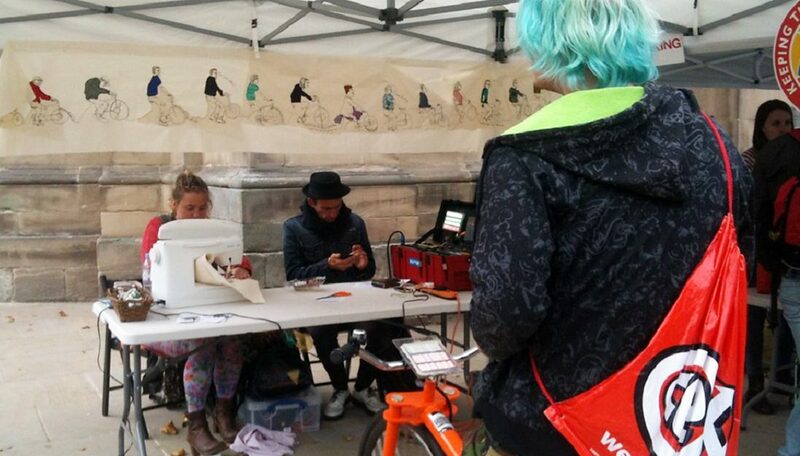 The passing public are encouraged to watch, participate and engage with the creation of the artworks. During this year’s festival we will be joined by Jaguar Land Rover’s clay modellers on Monday, Tuesday and Wednesday. They will be demonstrating the versatility and importance of clay as a material. Showing how it is used expressively by artists and as a sculpting material for design in the car industry. On Friday we will be joined by Rita Floyd who is one of the last fully trained ceramic flower makers and works in the Midlands ceramic industry. 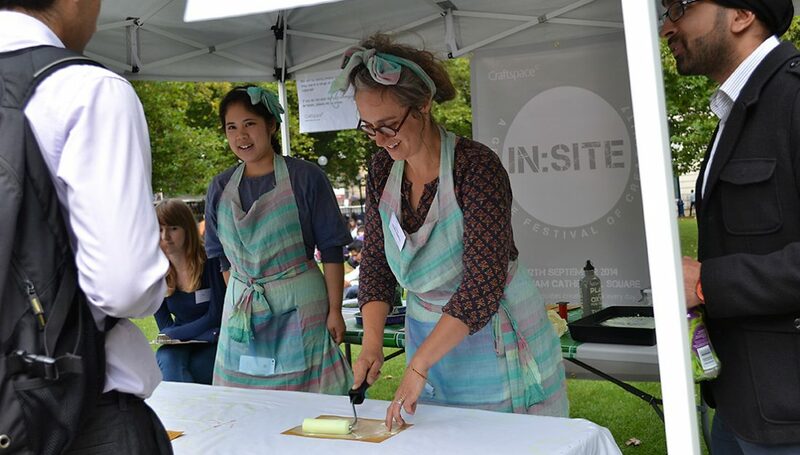 Find out more about what was on at In:Site festival 2018 in the guide below. How does In:Site help recent graduates? Graduates have not always had the opportunity through their coursework to consider socially engaged practice or creating public art. 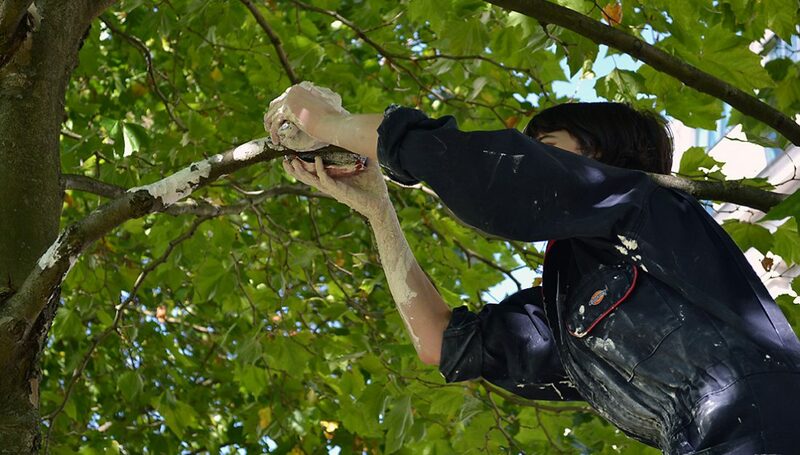 Craftspace is often involved in commissioning public art or bespoke work for particular settings. Clients require a level of experience and track record and we are often unable to appoint new graduates for these opportunities. The context and brief for In:Site provides graduates with the chance to test the viability of ideas, go through the process of a live commission, respond to a brief and a specific site and engage with the public at first hand. They also learn about risk assessment, contracts, working with an arts organisation and positioning their practice. Having something credible on their CV soon after leaving college is definitely a benefit. Working with a well-established organisation like Craftspace means that new graduates can tap into our extensive curatorial expertise and knowledge of the cultural sector as well as our networks and resources. We can often signpost people to further opportunities. In 2015 Jessica Hargreaves used In:Site to develop her work making pewter jewellery. Watch more videos from 2015 on You Tube. Past commissions have also included a contemporary response to lacemaking; creating outsized stitches directly onto the bark of a tree using nails and threads, and “Chain Reaction” in which passers-by were invited to have their portraits embroidered with the use of a sewing machine. 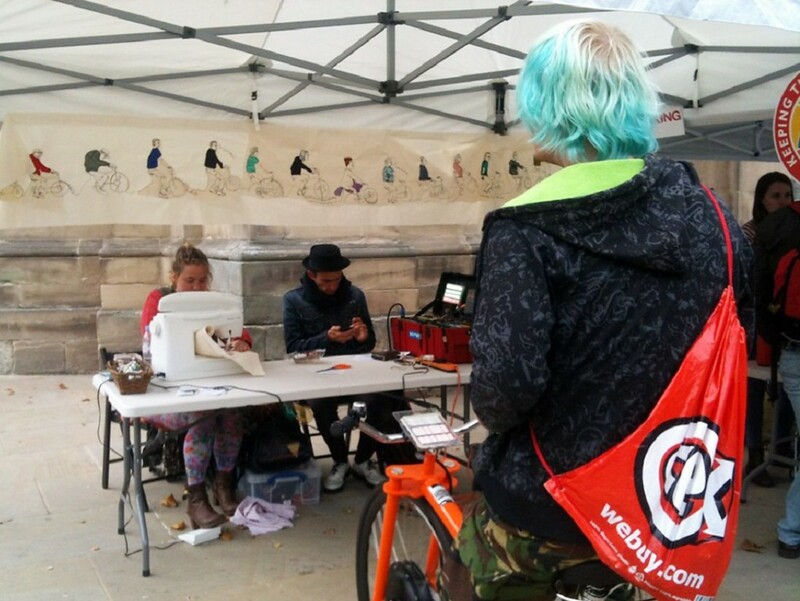 The sitter was required to generate the electricity needed to power the sewing machine by pedaling on a specially adapted cycle. 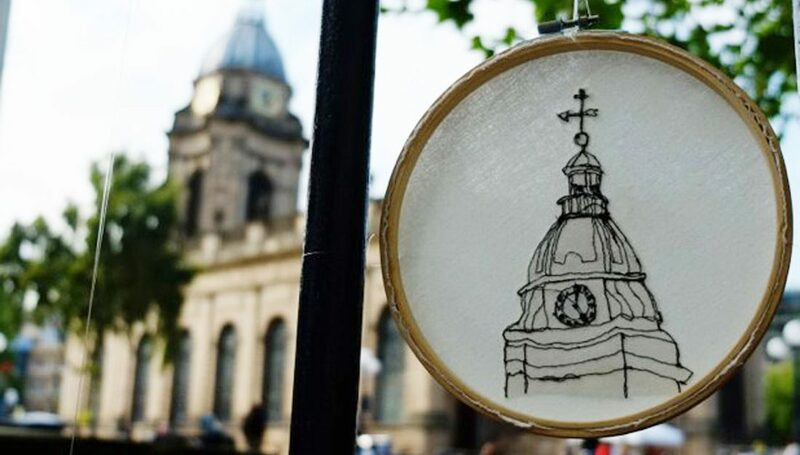 Beginning as a one day event featuring only three graduates, In:Site quickly grew, in partnership with Birmingham Cathedral and the Colmore Business District into a five day festival, attracting new makers from Colleges and Universities across the country. The Cathedral Square is a major city thoroughfare and meeting point with as many as twenty thousand people passing through and spending time in the public space each day. It is the perfect venue for In:Site to attract a new audience to contemporary craft, and create an environment to encounter unique cultural experiences. Read more about previous festivals on the blog. 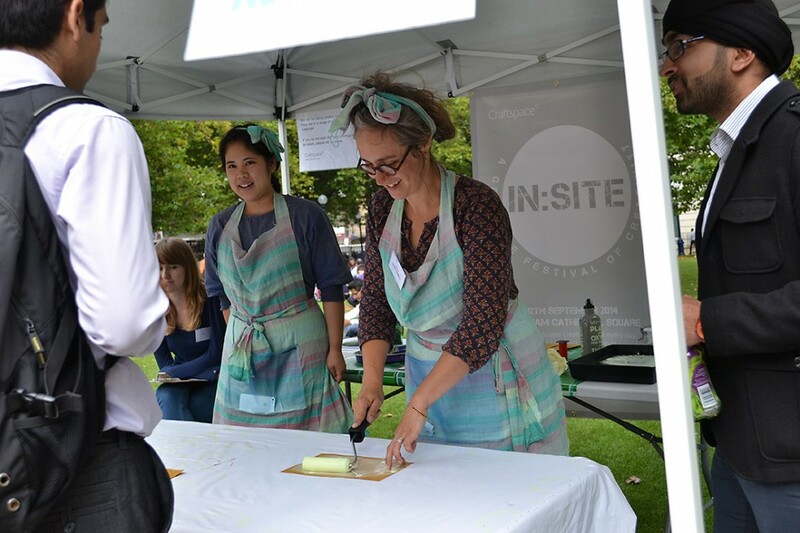 Watch videos of artists making their work for In:Site. Get involved with more of our projects. Apply to be part of the next festival.